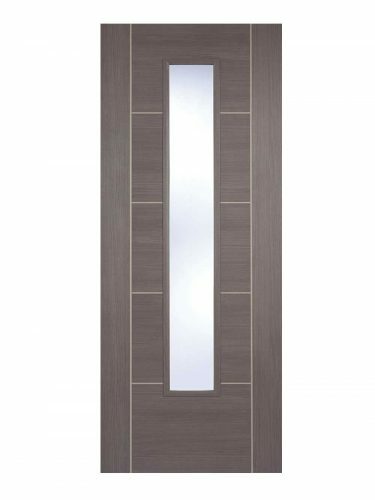 Modern Laminated Glazed Door, contemporary styling . Five horizontal panels in vertical border effect. Central vision panel. 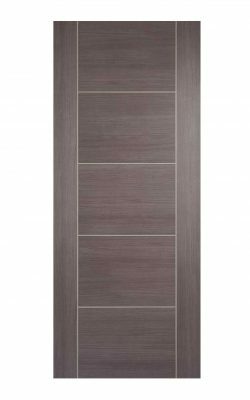 Medium Grey Laminated Vancouver Glazed. Five panel, Vancouver design, this time in a medium grey, laminated finish with a slim, vertical clear glazed panel. Clear glazing.